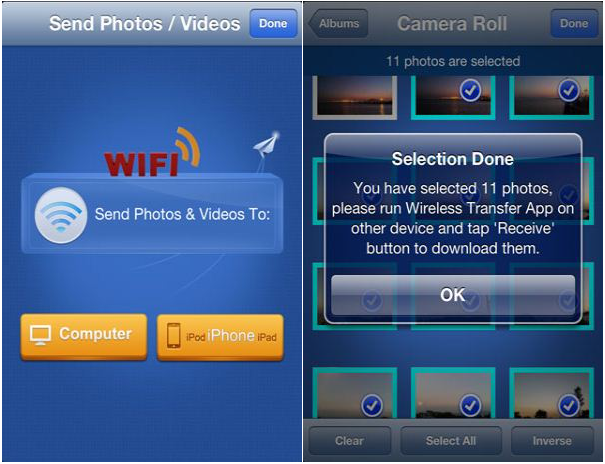 Traditionally, you need iTunes and USB cable to transfer photos and videos between iPhone and iPad. Since you don’t get the USB cable, iTunes won’t take effects. In this case, I will recommend you use iPhone WiFi Transfer. With this app, there is no need to use any USB cable. But WIFi network is necessary. And make sure the two iOS devices connected to the same WiFi network. I will show the usage of this nice app in details. Hope it can give you some help. 1. 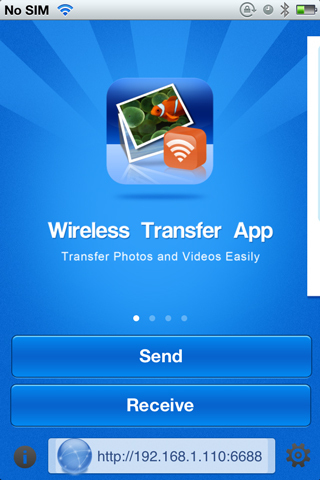 Download and install iPhone WiFi Transfer on iPhone and iPad. It is available on the App Store. You need to pay once only and install it to multiple iOS devices (iPhone/iPad/iPod). Make sure your iPhone and iPad are connected to the same Wi-Fi network. 2.Run the app on iPhone and iPad individually. 3. Tap the “Send” button on your iPhone, select “Send Photos & Videos To: iPod/iPhone/iPad” and then select photos & videos. 4. Tap the “Receive” button on your iPad. Then you will find the device name of your iPhone. 6. 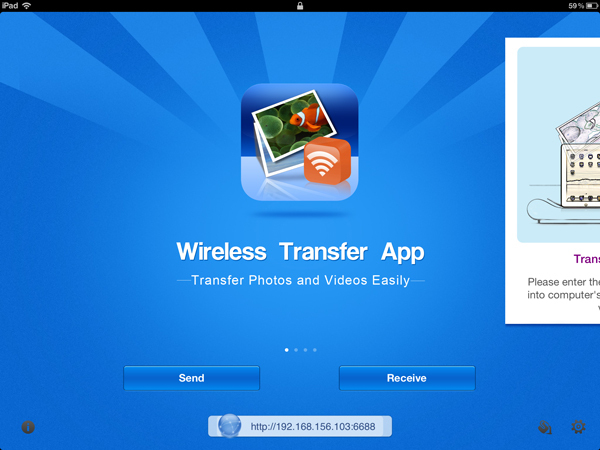 Create a new album or select an existing album and touch the “Download” button to start the transfer. 7. Open the “Photos” app in your iPad and you will find all the photos and videos downloaded from your iPhone. 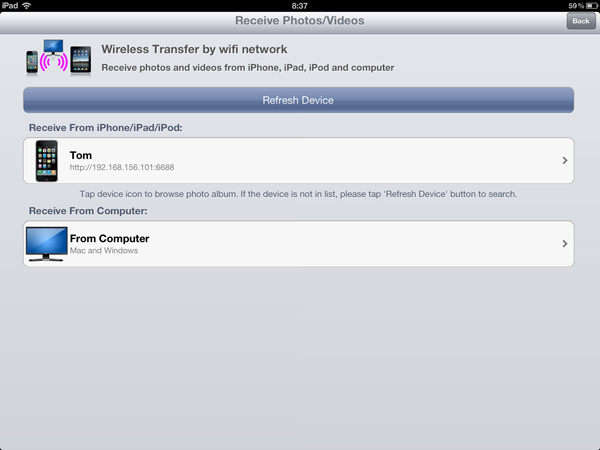 On the contrary, you also can transfer photos and videos from iPad to iPhone. Its process is much similar to the above. You can have a try. If there is some requirement, I will show you later.